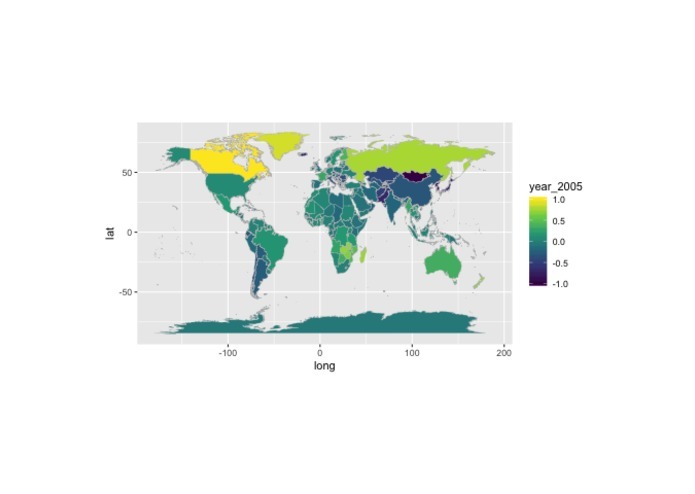 Correlpleth correlates custom geospatial temporal data and creates choropleth map for visualization. 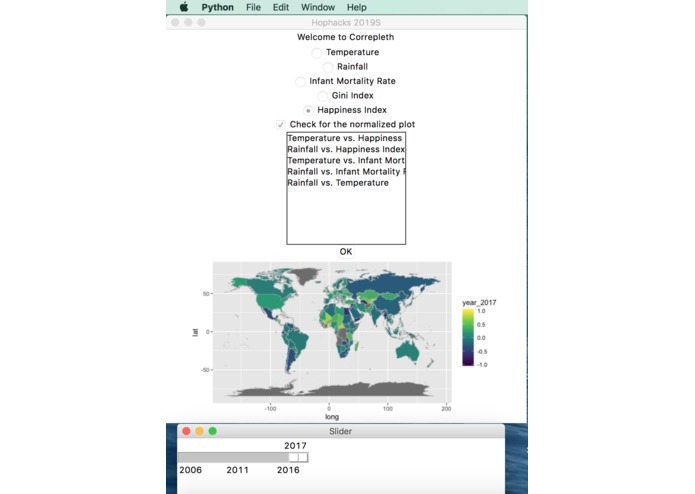 Interest in visualizing the correlation between various social-economic factors and climate change. Other visualization tools can generate choropleth maps, but not correlate different datasets and does not have as much data as we have. 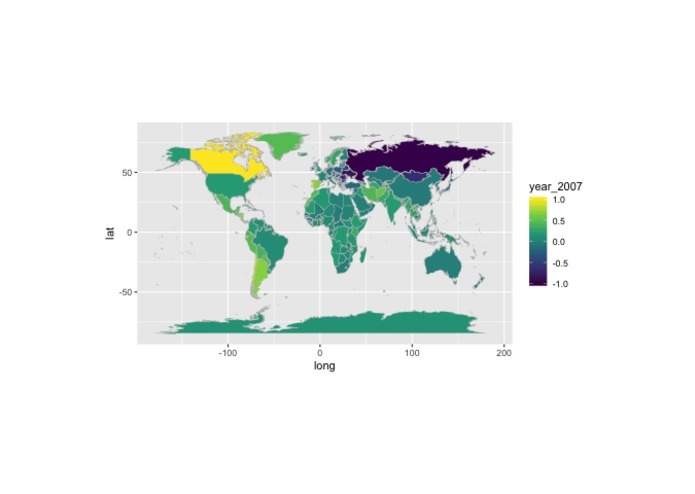 Correpleth combines custom geospatial temporal data by correlating two variables, or simply displaying a single variable, and generating a choropleth map per year. Using this tool, one can visualize global climate change correlation with social factors. Moreover, it can easily be adapted for new data. Programmed data merging applications to combine the datasets from various sources into a uniform standard.